Collaborating Archives - Page 2 of 2 - Go Creative Go! 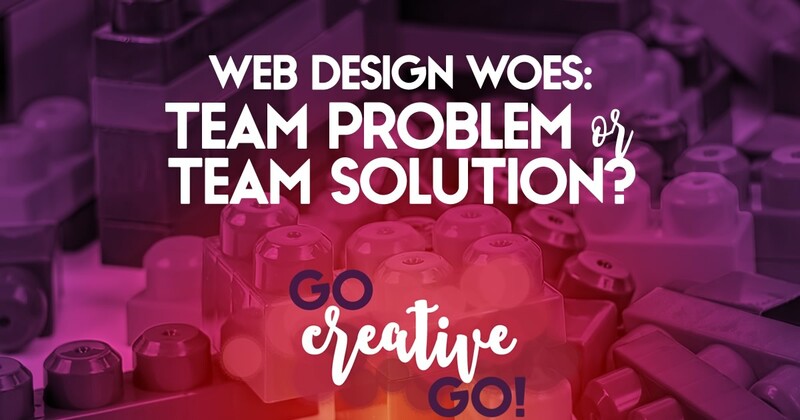 Web Design Woes: Team Problem or Team Solution? Today I’d like to dig a little deeper into two web design truths that we deal with on nearly every project we contract. I often state that you have to “get the balance right,” and that holds true on web design and development projects. Understanding and agreeing to create and maintain this balance must occur before the design/development process begins. It’s vital and far more important than choosing sliders or no sliders, sidebars or no sidebars. While those choices are important, they don’t make up the core of your website. The balance ABSOLUTELY does. Almost every balance decision ties, to some degree, to content – this includes images. Content delivery is often the part of the web design project that causes the most delays. It’s imperative that designer and client agree on the details of creation and delivery of content from project start, so there are no surprises down the line. Amazingly, not all web designers are brilliant copywriters. In fact, some can barely string a sentence together. And that’s A-OK. I’m guessing they didn’t portray themselves as such during initial discussions. Don’t assume your web design team includes content marketing expertise. Most web design contracts include a clause or line item detailing the specifics and deadlines for content delivery, including images. If the design/development team is going to seek out images, often stock photography, it will be detailed in the contract. They’ll usually detail reimbursement fees for those images, too. But that’s another blog post. Those contracts also detail the delivery and deadlines for written content, the backbone of your site project. Without that carefully crafted content your new site is just a pretty shell. Visually appealing, but lacking substance. If you cannot, designer and client, come to an agreement on who delivers what, the project is going to meet obstacles early on. Problems at the outset often lead to continuing issues that cause the project to drag on, often causing missed due dates and even missed launches. Web design projects often hit stumbling blocks. It’s nothing too alarming, as these kinds of things happen on all collaborative efforts. It’s important, though, to start as you mean to finish. Are you going to be part of Team Problem or Team Solution. Are you going to work together to help the project progress as easily as possible, or are you going to point fingers and lay blame. As one part of the web design team, I know which option I prefer. How do you deal with differing opinions on creation and delivery of content as you work on collaborative projects? I’d love to discuss! http://www.gocreativego.com/wp-content/uploads/2014/08/GCG-pinnable-web-woes.jpg 1080 735 Mallie Hart http://www.gocreativego.com/wp-content/uploads/2016/07/GCG-sitelogo-new.png Mallie Hart2014-08-20 08:17:332016-10-12 20:08:30Web Design Woes: Team Problem or Team Solution? Who is giving your copy a careful look & critique before you publish? There’s a big difference between a typo and poor writing! We also realize that, from time to time, you might put the apostrophe in the wrong spot. When it comes to possessives, sometimes we just type the wrong one – even when we know better! Even with careful proofreading, these mistakes sometimes occur, slip through the cracks. When we see an author repeatedly making the same mistake, be it using your when you’re is actually correct – or something else just as grammatically incorrect, we wonder if they are practicing the “second set of eyes rule” before they publish. The second set of eyes rule is simple and very effective. Nothing gets published until a second set of eyes actually check the content, deeming it suitable and correct. Longer or more complicated documents often benefit from two, three and even four sets of eyes. 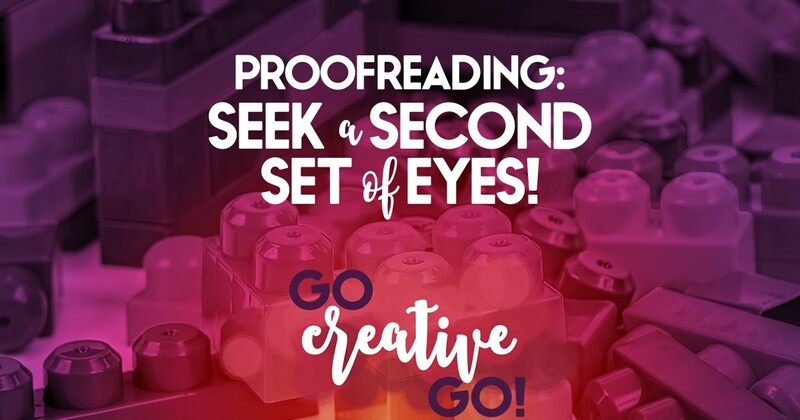 Simply put, that second set of eyes provides a secondary proofreading before content is published. Even if you’re a very strong writer with a large and varied vocabulary, a second set of eyes can be of huge benefit. Heavy writing schedules sometimes mean we work on written projects in fits and spurts, saving them in draft format after each session. When you work on a document or a post for a long time you begin to see what you “believe to be” there, rather than what is actually in front of you. How often do you see a sentence that appears to be half formed, followed by a complete sentence that states the same thing but in a slightly different way? We see it all the time. What does it mean? It means the author was working in draft format and chose to change sentence structure and word choice, BUT forgot to delete the preceding partial sentence. Even when you rely on a second set of eyes the occasional error will slip through. But, as we stated above, true typos are apparent. Good readers recognize good writers and will overlook what is truly a one time, simple mistake. But they won’t forgive, and certainly won’t share, a poorly written article or document. Do errors and repeat typos keep you from sharing an article with your online audience? Is proofreading part of your content marketing plan?